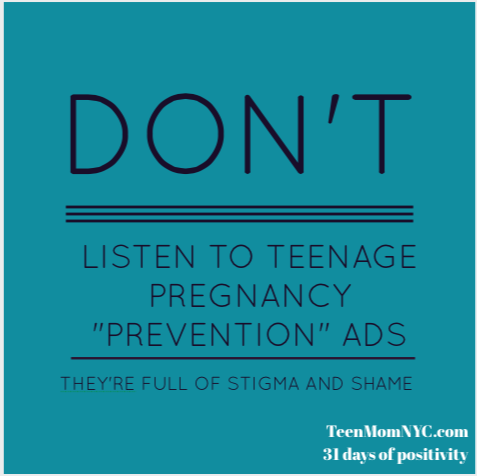 The #31DaysOfPositivity for teen parents is "over". 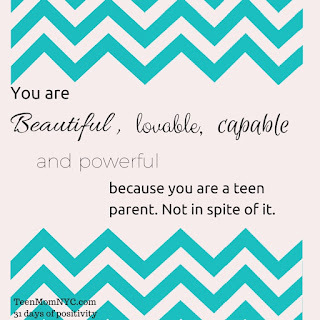 I say "over" because I will aways maintain this space as a positive space for teen parents as long as I can. Now that the campaign is over I am very glad I did it. 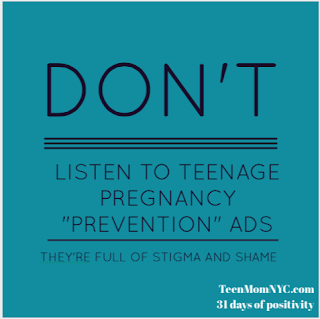 I am glad that not only teen parents saw these messages but that everyone did. I'm glad everyone saw these messages because they are true, necessary, and important. People reached out to me to tell me that the messages helped them in one way or another. When I was having a bad day (which happens more than people think it would) I would look at one of the images and read the message and think about the words for a while and they helped. I wanted the messages of these images to reach you, help you, and encourage you in whichever way you needed. I also wanted to present alternative images for teen parents on the Internet since many of them can be very negative. I hope these images helped. I hope you share them if you feel the need to. 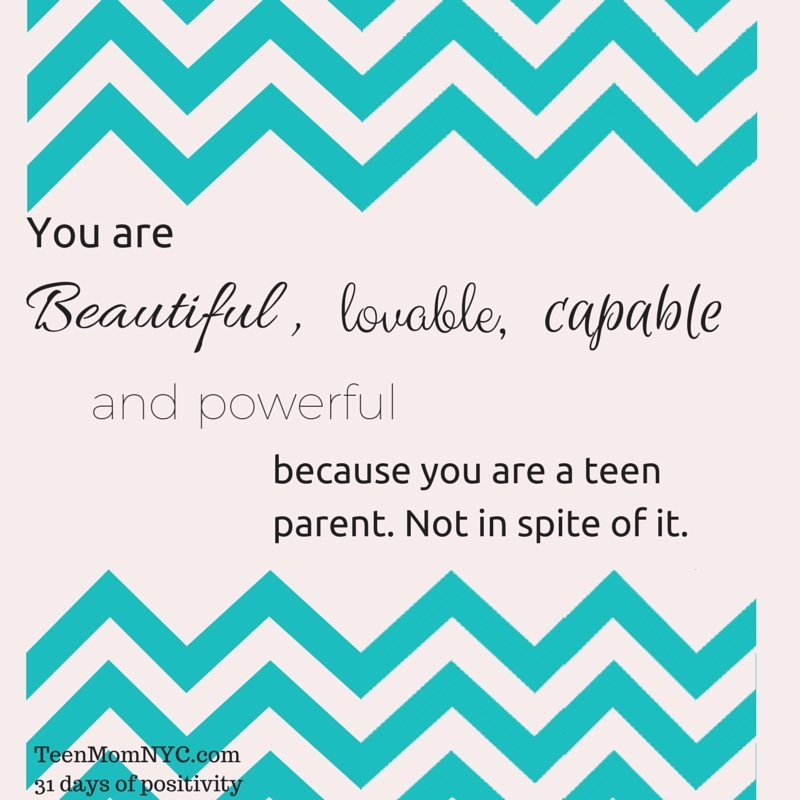 I hope these messages sink into your thoughts about teen and young families and you begin to change the negative aspects and thoughts you may hold about us.